In my last post, which was the day after the election, I said there would be more to follow but I haven't been able to write since that fateful event. I am finally beginning to get my feet back under me so, here goes. My day-after-the-election post elicited some responses which I would like to mention. First, I want to thank everyone who offered encouragement. Apparently, some got the idea that I was giving up, but I assure you that was never the case. I was also somewhat taken to task for my comment that "America is over", so I'd like to explain what I meant by that. America was established as a constitutional republic which means, by definition, that the Constitution "shall be the supreme law of the land", (Article VI). In other words, it must be authoritative. That American exists today only in the minds, hearts, memories and imaginations of some people. This is because the Progressives/Liberals have been undermining the Constitution and its authority for over a hundred years. Barack Obama's re-election means that the "fundamental transformation of America" that progressives have long dreamed of and that he, Obama, promised in his 2008 campaign is now complete. As such, the Constitution has been effectively rendered null and void, and "America is over". Put another way, the Founders designed our political institutions to rest upon the twin pillars of morality and religion, (specifically Christianity). They knew the experiment would succeed or fail based upon the extent to which the people would do what is right because it is right. The fact that a president with an abysmal record running a campaign based upon pandering and personal attack was successful over one that appealed to our founding principles shows that We The People have failed in this sacred responsibility. That is another and more significant way that "America is over". I say all of this because I believe we must have a realistic view of our circumstances as we go forward. I have never thought politics was the answer. More often than not, it is the problem. Even so, in an election year I thought we should be involved so as to try and affect the outcome. Now that it is over, it is my view that we must now focus our energies on what will work. What is that? The Gospel of Jesus Christ is the true rock upon which this country was founded. 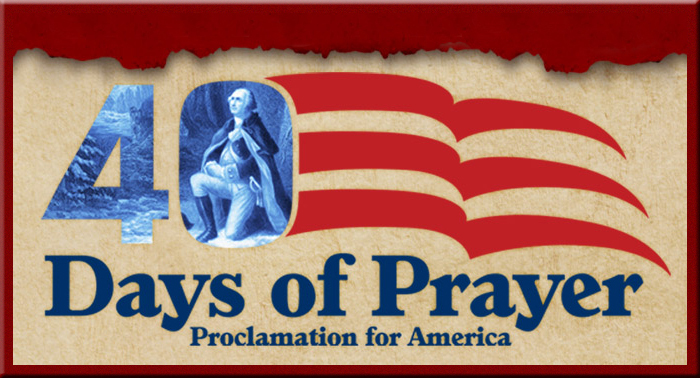 If America is to be restored, it can only be through repentance, i.e., turning back to Him. As such, my future posts will be directed at trying to help advance that cause. The America of the Founders was established by God, perhaps in part to give a glimpse of Heaven on earth. Ultimately He will take His children to a place so wonderful as to make America, even idyllic America, seem like Hell on earth by comparison. In the meantime, our job is to "trust and obey". There really is no other way. "Even so, come Lord Jesus". 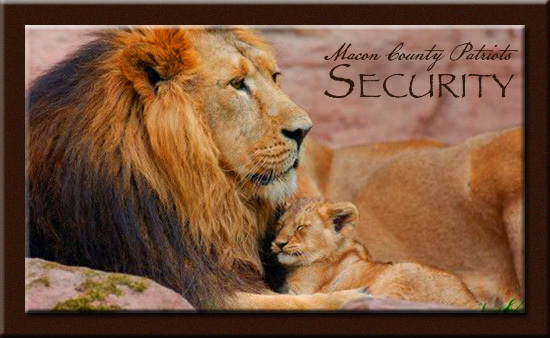 In 2011 Macon County Patriots offered workshops informing about tools and suggestions to prepare families for emergency situations. We can never stop learning and strengthening our knowledge of preparedness. Peace of Preparedness is a site full of Power Point presentations, videos and a well organized resource library for emergency preparedness. A good source to share with your friends and family. "Would you be ready if there were an emergency? In today's world, we are all exposed to a wide variety of hazards, both natural and man-made such as fire storms, earthquakes, tornados, hurricanes, power outages, and acts of terrorism. Imagine that a disaster occurred and you did not have water, food, electricity, or fuel. One should be prepared as much as possible for emergencies. This website is dedicated to sharing emergency preparedness resources and to encouraging others to prepare for disasters. Many emergency preparedness resources are available in our Resource Library. Please feel free to share my information on this website with all your friends, families, neighbors and acquaintances and if you don't mind share the website with them too. If you would like to use the handouts or powerpoints to teach classes, please contact me and I can send them to you in a usable format." We've had time to catch our breath and review what went wrong and what went right (there was some good stuff) on November 6th. 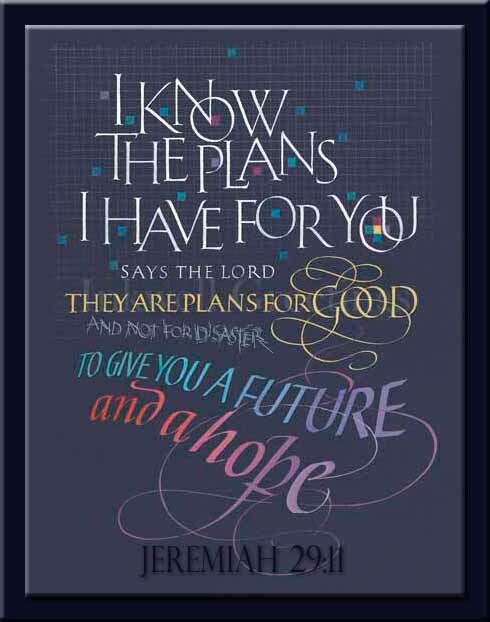 I posted the scripture Jeremiah 29:11 the morning after because I knew that we had received the answer to our prayers. God has a plan, it just wasn't what we were hoping and praying for. Regardless, we know that His love, protection and promises belong to us and in order to remain sure footed in this battle we have to continue to focus on HIM. Where we stand today: The progressive and godless population won this battle. They will abort themselves into a minority and sexually transmitted diseases will also decrease their numbers. Because they look to themselves for power and gain, they will fall. So what about us? What are we to be doing? I ran across this article by Steve Elliot, President of Grassfire.org mentioning Jeremiah 29:11. It's a real interesting perspective that I'd like to share with you. I'm going to edit it to make it as brief as possible. If you'd like to read it in it's entirety you'll find it here. I want to share with you a letter that, although it is 2,500 years old, it could have been written this morning. For us. For faithful patriots who feel like they just discovered they will have to live at least the next four years in exile. This letter was written to Jewish exiles who had been pushed out of Jerusalem and forced to live under a tyrannical ruler named Nebuchadnezzar. The exiles wanted one thing: they wanted to be re-established back in Israel. They even had a prophet named Hananiah come to them and tell them that their time of exile would only last two years. You can read about it in Jeremiah 28. Hananiah was a false prophet. He died. And so Jeremiah wrote a letter to the exiles. You’ve probably heard a part of that letter recited many times. It’s one of the most commonly quoted passages in the entire Bible. Unfortunately, this passage is mostly taken out of its proper context and delivered as a “feel good” word that everything is going to be good. Those words sound so good. The future is bright. God has a plan for prosperity, for a real hope and a real future. On the eve of the election, it must have meant a Romney win, the GOP takes the Senate and we start the rollback of the Obama regime, right? Not exactly. This is what the Lord says: “When seventy years are completed for Babylon, I will come to you and fulfill my good promise to bring you back to this place. For I know the plans….. The plan was 70 years of exile. Keep that in mind the next time someone quotes Jeremiah 29:11 to encourage you that your time of trouble will soon end. Not only was the exile going to last 70 years, the exile WAS the plan! Again, remember the context. A false prophet had just come and said the time of exile would only last two years. That prophet died. The truth is, the people will be in exile for 70 years. And the directive is to build families, grow businesses, think trans-generationally and increase. It gets better. Because Jeremiah’s letter makes it clear that building and marrying is not enough. People in exile must do something else — they must be a blessing to the land. So let’s review. First, the Plan is exile. Second, build. Third, bless. Simple, clear instructions. But why was this important? Why a “plan” for exile with specific instructions on how to act in exile? It was the lessons learned during their time in exile which enabled the Jews to survive 2,500 years in exile. But not just survive, but to thrive and become the most prosperous, most successful and most innovative people group in the history of civilization. So let’s get building. Let’s get planting. And let’s get praying. And let’s bless this land. There are lessons to be learned in exile. Mr. Elliot left us a lot of food for thought in that article. The comments are open and this conversation should continue among us, our families, our communities. 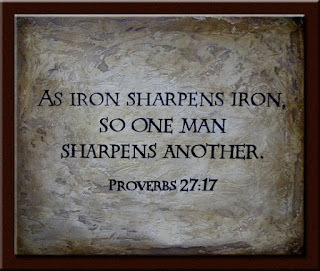 We need one another like no other time before. Let's rebuild together. We fasted and prayed for 40 days asking God for mercy, grace and another chance. We knew that we didn't deserve it. But we wanted it. The verdict is now in. The answer is no. Americas is over. Freedom has been officially and finally rejected by We The People. I'll have more later but I pray we all keep this in mind going forward. It's obvious now that God has got a greater plan beyond politics and politicians. I'm encouraged this morning to know #1 Our Lord Jesus Christ is still on the throne, #2 His written Word is our guidebook and #3 I'm more deeply devoted to following Him and Him only for what ever this plan is for America. This journey is ~To be continued! Be encouraged, we serve an awesome God -- ALL the time! “The Lord will not cast off His people; neither will He forsake His inheritance. Heavenly Father, Your Word says that Your desire for us is peace and not evil, to give us a future and a hope. Without You we have no hope. But through the blood of Jesus Christ we have been redeemed and are a people with a rich inheritance, if we will only acknowledge the One true God. America has all but kicked You out. We ask You to forgive us for that, and to restore us once again to a nation that honors You. 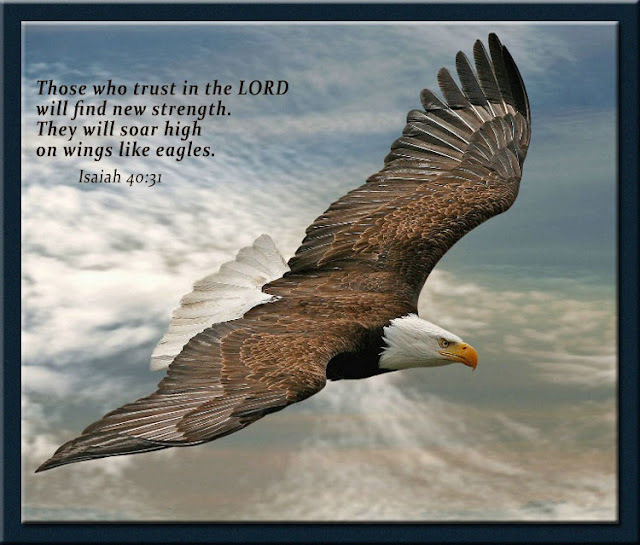 Your Word says, “Hope thou in God.” We place our lives, our country, our children, all that we are in Your capable hands, acknowledging that we are a weak people. In You, our weaknesses, You are made strong. We ask that You outstretch Your mighty arm and cover us with Your righteousness. May the bright hope for tomorrow grant us peace for today. In Jesus’ name, Amen. What purpose then does the law serve? It was added because of transgressions, till the Seed should come…Therefore the law was our tutor to bring us to Christ, that we might be justified by faith. But after faith has come, we are no longer under a tutor. Lord, Jesus, in Your Word we are commanded to love one another, even as Christ loved the church. Your Word is a clear guide for how we should live our lives, and is filled with the promises we can inherit when we obey Your commands. We have fallen very short as a people. We ask You today to saturate our schools on every level. May the elementary schools children learn to know You while they are young, and follow You all the days of their lives. May the middle school students begin to experience You in a very real way. May the young men and women in high school acknowledge You as their Lord and Savior, seeking You first. May those attending universities and colleges bring the Bible back to the barren hallways. And may the teachers, administrators and staff exhibit the love of Jesus in all that they say and do. May they understand their significant responsibility and may they use their position to promote Your good name. May this love for you infect our Department of Education and move them to bring Scripture back into the classroom, to once again hang the Ten Commandments in the hallways. 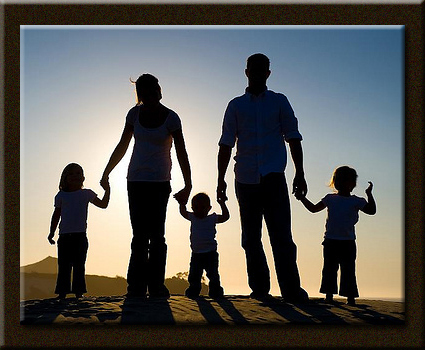 We thank You for the blessed gift of our children, a divine inheritance from You. Amen. Now therefore, be wise, O kings; be instructed, you judges of the earth. Serve the LORD with fear, and rejoice with trembling. Kiss the Son, lest He be angry and you perish in the way, when His wrath is kindled but a little. Blessed are all those who trust in Him. 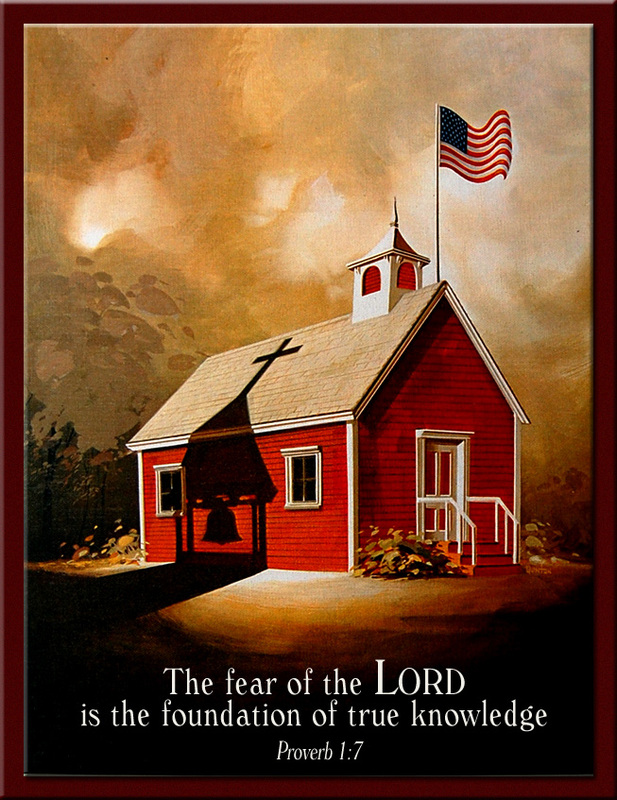 Dear God, today our country is suffering from the overwhelming burden of crime and immorality. Our lack of integrity threatens the sanctity of a peaceful life that we know is found only in You. 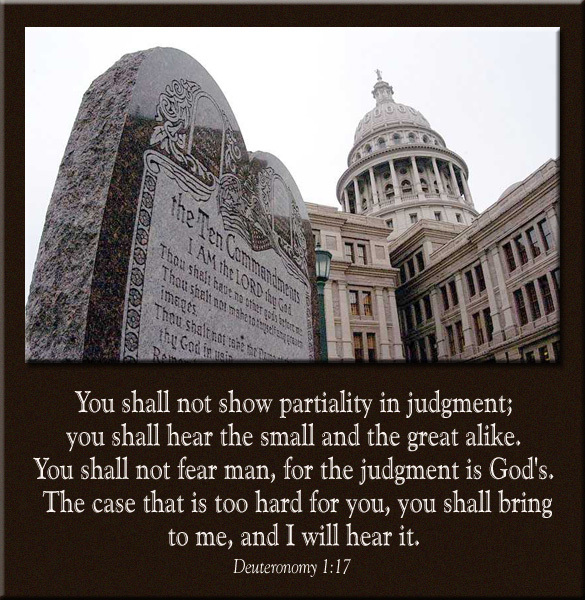 Lord, turn the hearts of every judge in the U.S. Judiciary, from the local to the national level. May each man and woman seek Your face in the laws they are making and upholding. May You grant them the wisdom of Solomon. Protect their minds and hearts from deception and make them single-minded, not wavering in their faith. We thank You for our system of checks and balances and ask that You restore and preserve it. In Jesus’ name, Amen. 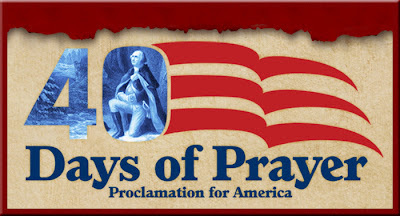 I have not posted in a while largely because the wonderful "40 Days of Prayer" posts that Sally has been sharing with us have said it better than I could. That said, I want to share a few thoughts before the election. The seemingly endless election marathon is in the home stretch. In 5 more days the verdict will be in and that verdict will have far-reaching effects. All of the candidates and multiplied thousands of grassroots people have been working hard to affect the outcome. The thing I want to point out at this time is that, however the election turns out, our work will not be done. 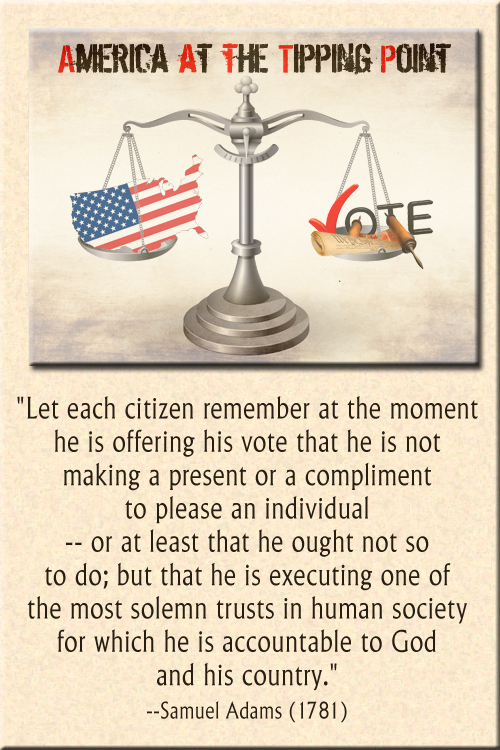 What the election will determine for us as patriots is what the nature of our work will be going forward. Here's what I mean. As bad as the economy is, it can get a lot worse. Many investors are holding back and many businesses are holding on. They can make it until January. They cannot wait 4 more years. As a result, depending on the outcome, there will be an almost immediate upturn or downturn in the economy and the national mood will be one either of gloom or of optimism. There will be pain either way because we have not yet suffered the consequences of actions already taken. But in one event, we will be able to recover, in the other we will not. In that case, we will be headed for times that will make the Great Depression look like a walk in the park by comparison. But beyond the economic implications, there is still a more serious thing to consider and that is that it would mean that the American experiment has ultimately failed. In that case, everything changes and our work will be to survive in post-freedom America. I know that is a bleak assessment, but I believe it to be an accurate one. In the event of a favorable outcome, our work as patriots will be to continue to educate our fellow Americans so as to not allow our country to be brought to the brink of utter self-destruction again. In many ways this is the more difficult task because there is a tendency to sit back and rest on our laurels, as if the war were over. While it is altogether fitting that there be a time of celebration, we must not allow ourselves to fall into that mindset. This election is a battle. A big, big, big battle. But the war will go on. As disheartening as this message might sound, it is intended to be an encouragement. Remember that we have each other. 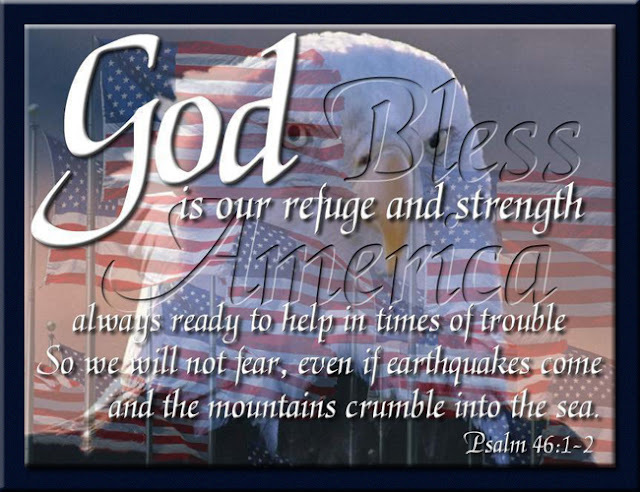 And, as Sally's posts have reminded us, God established this nation and He still cares about her. While we don't deserve His blessing, we can be so bold as to ask for it because He is a God who forgives. And He is the God of the resurrection. So we must diligently seek His forgiveness, obey His commands and accept His verdicts. In the meantime, we must never give up. Never, ever, ever, ever, ever, ever, ever give up. Lord, we have come to a place in time where the world calls that which is good evil, and evil is perceived as good. Our value system has been completely destroyed by our desensitization. We no longer value human life, Your greatest creation. 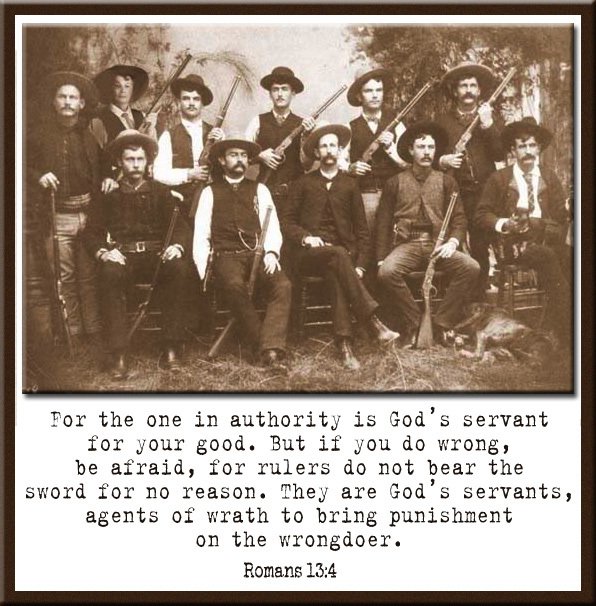 Law enforcement is an agency You use to protect society from the unrighteous acts of men. Our society is fragmented. 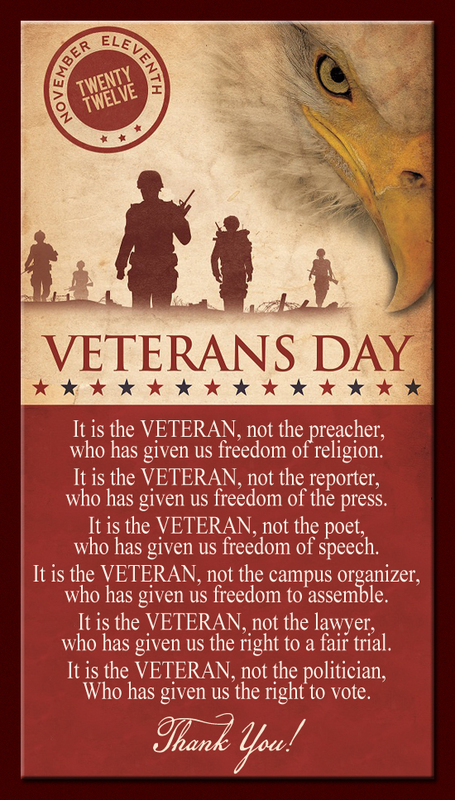 Today, we ask that You bless the men and women who stand up for the laws of this great land, who put their lives on the line every day. Protect their families and loved ones. 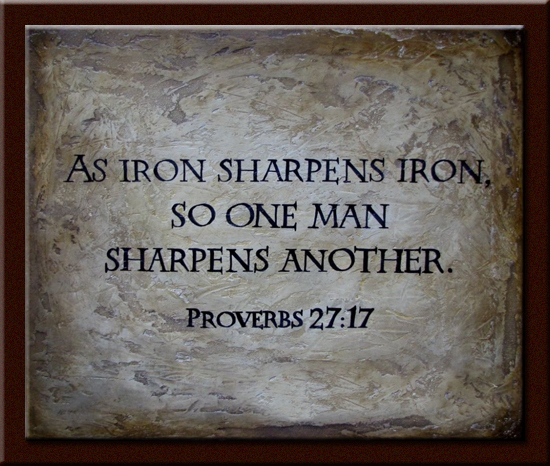 Equip them on every level to perform their duties, and grant them Your protection. In Jesus’ name, Amen.